The Jerez cement plant in southern Spain, part of the LafargeHolcim Group, contributed €17.3 million to the local economy in 2016, according to a company press release, through contracting services, donations, taxes and wages. The plant employs about 90 jobs directly and supports a further 100 indirect jobs and professional internships. The plant also invested €0.9 million in plant improvements over the year, including €0.5 million in reducing the environmental impact of the plant and to technical improvements, such as the replacement of filter sleeves. In 2017, the plants expects to invest a further €0.7 million into technical improvements in health and safety and environmental protection. Other environmental achievements include the use of alternative fuels to supply 34% of the plant’s energy requirements and the recycling of 4100 m3 of water for industrial use. The Jerez plant is located north of Cádiz in Spain’s southern Andalusia region. The majority of its product was exported last year, according to the Plant Manager, Lucas Garcia, with Cameroon the main destination. Guinea, Cote d’Ivoire, Algeria and Haiti also imported cement from the Jerez plant. Key projects that have utilised cement from the Jerez plant include the new access route to the container terminal at Cádiz and the tunnel under Gibraltar Airport. The tunnel is designed to take cars and pedestrians under the runway. Currently, the existing road crosses the runway, disrupting airfield operations. LafargeHolcim owns five cement plants in Spain with an installed capacity of more than 10 million tpy, as well as concrete plants, quarries, a distribution centre, four terminals and a waste recovery plant. 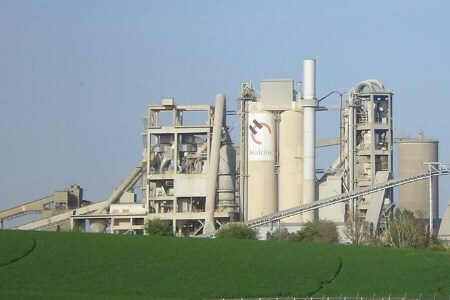 The Jerez plant has production capacity of around 1 million tpy of cement.